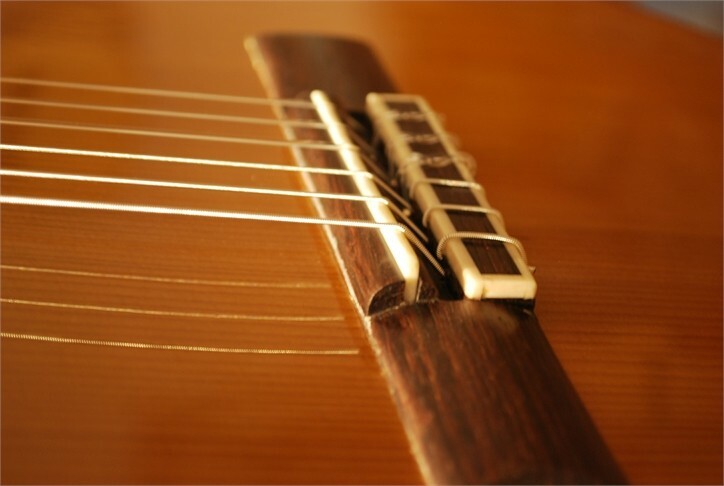 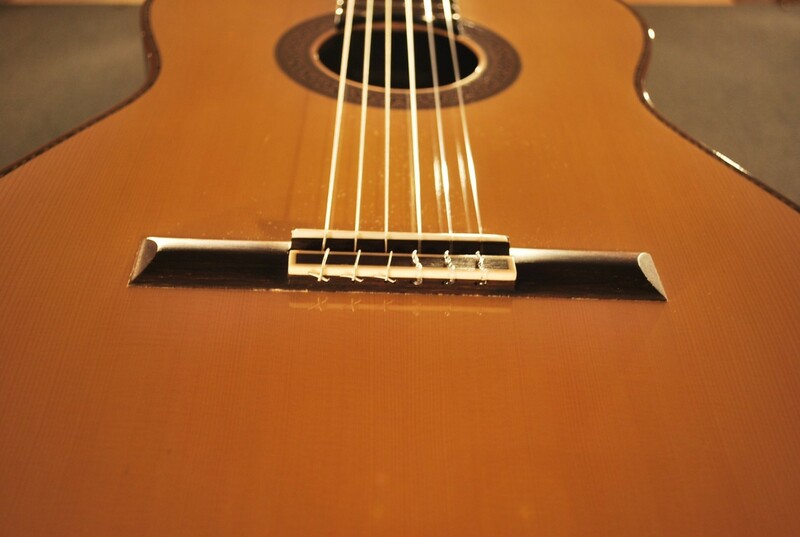 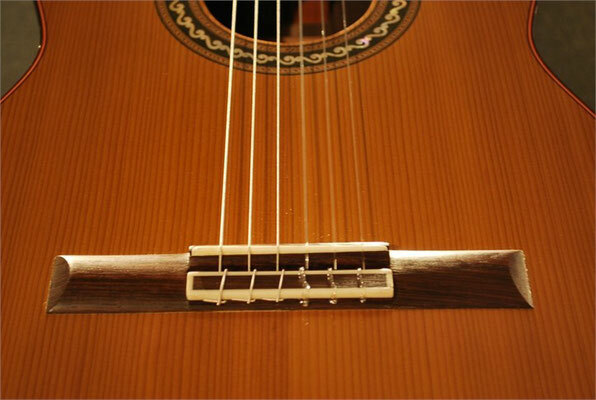 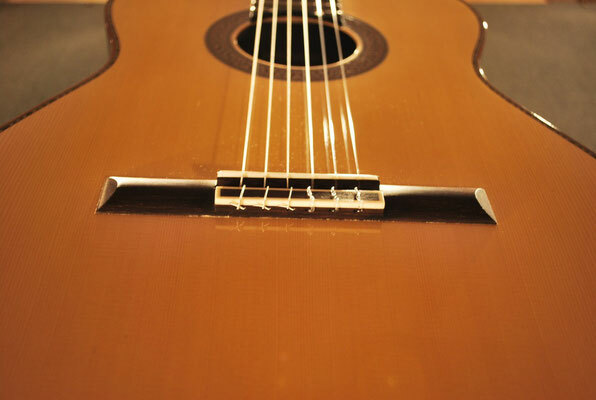 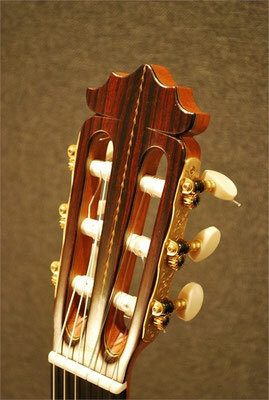 This Classical Concert guitar has a very good balance. 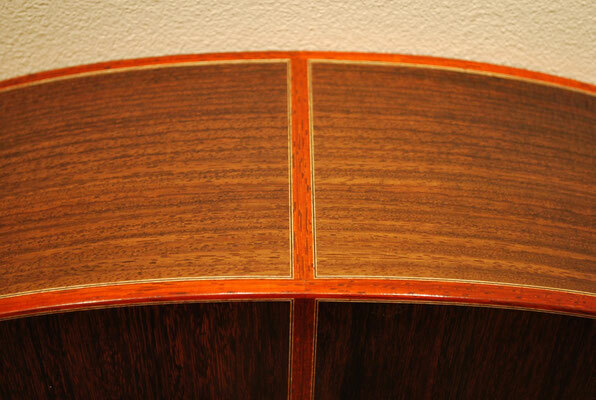 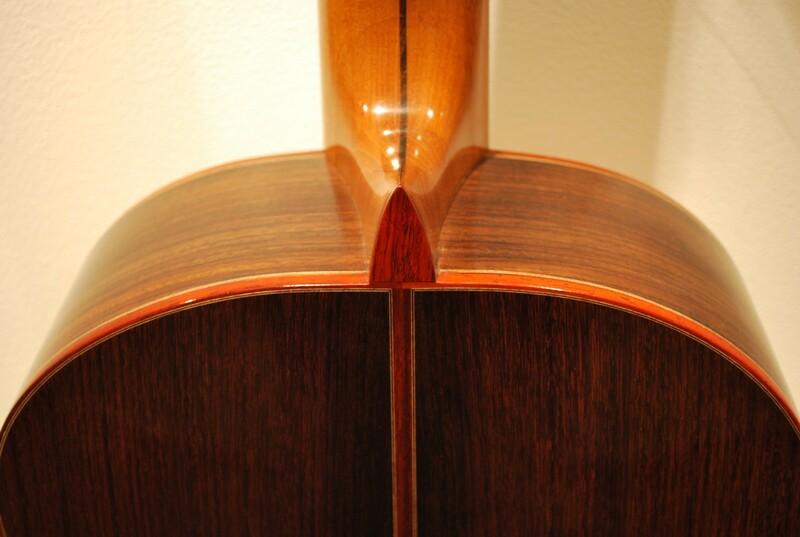 One finds the heat and the dynamic stamp of the sounding board in cedar. 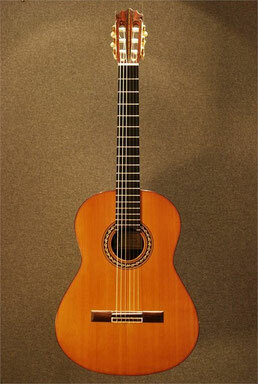 for an equivalent scale length. The Oxalis is very pleasant to play. 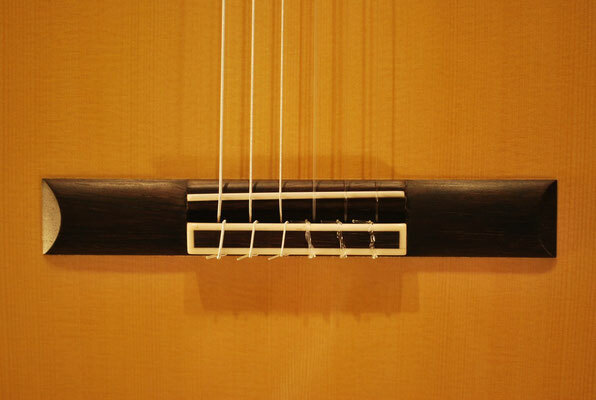 The Arabette was inspired by my flamenco constructions and was designed to suit musicians with smaller hands. 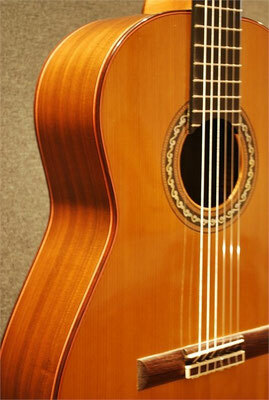 It has great sustain and noble sound, ligthness, resonance and deep tone. 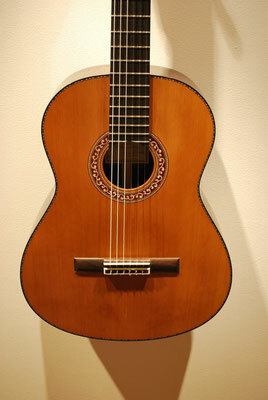 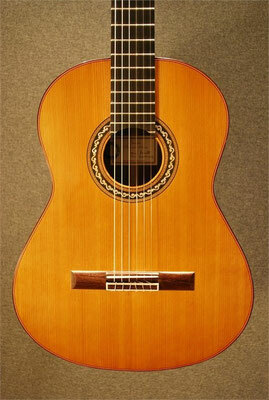 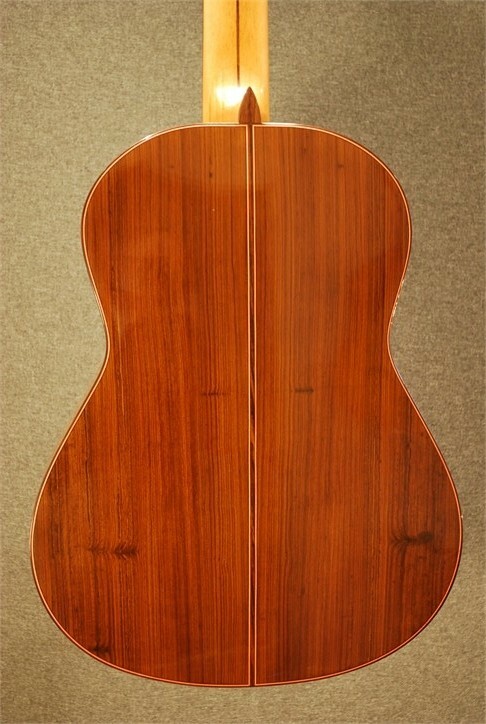 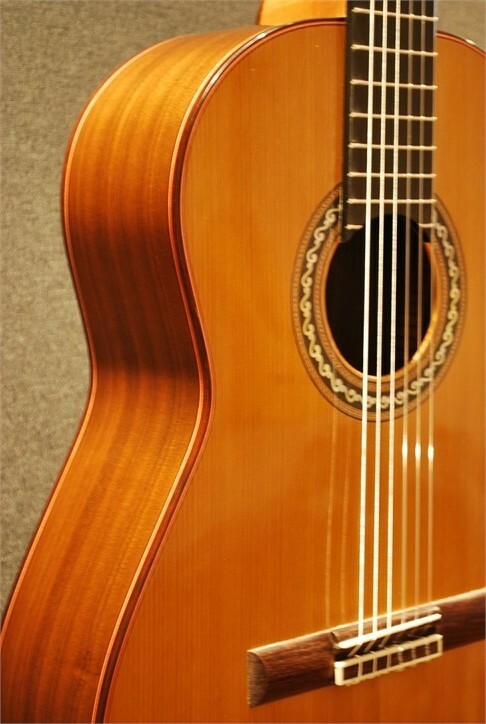 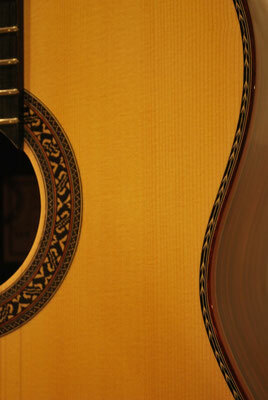 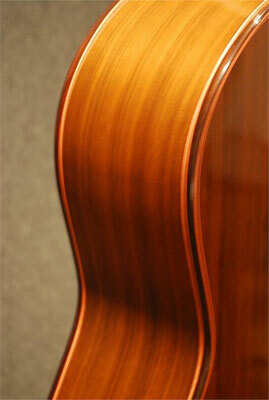 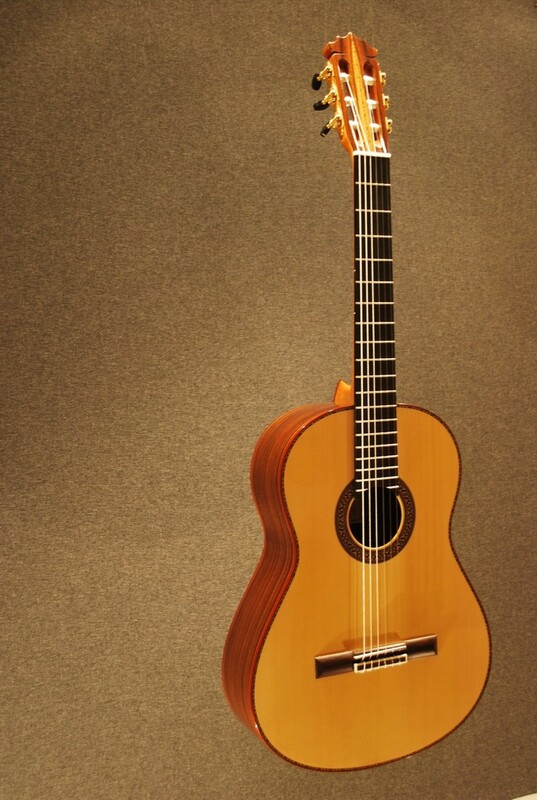 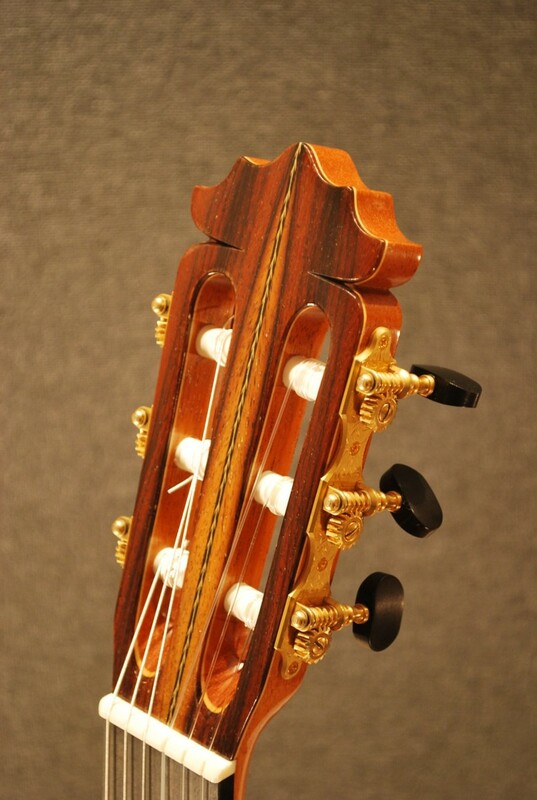 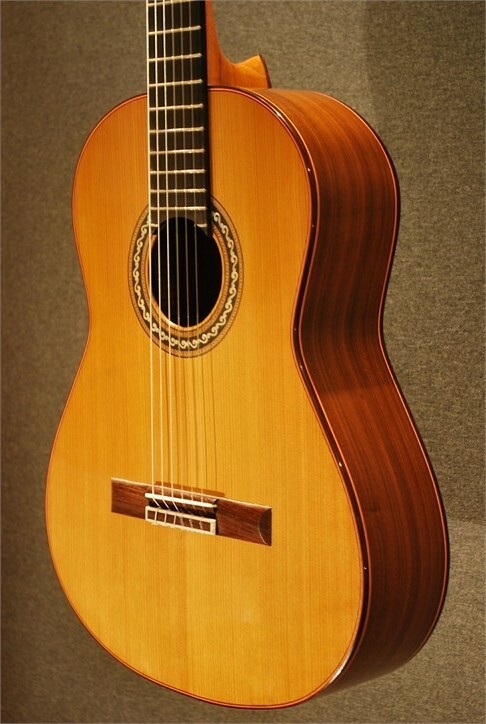 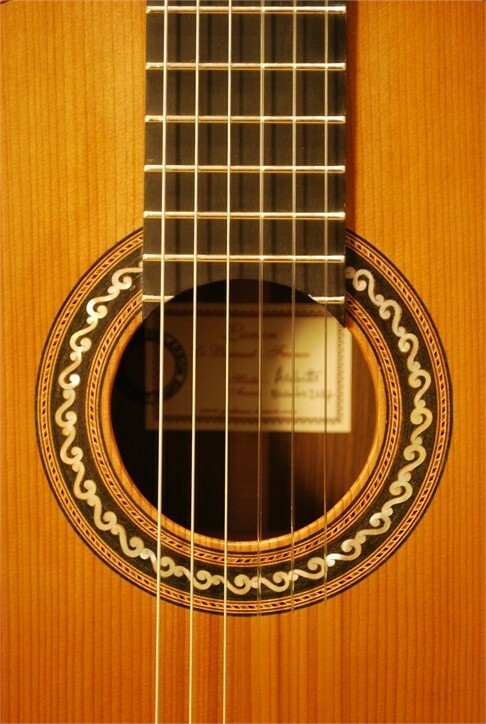 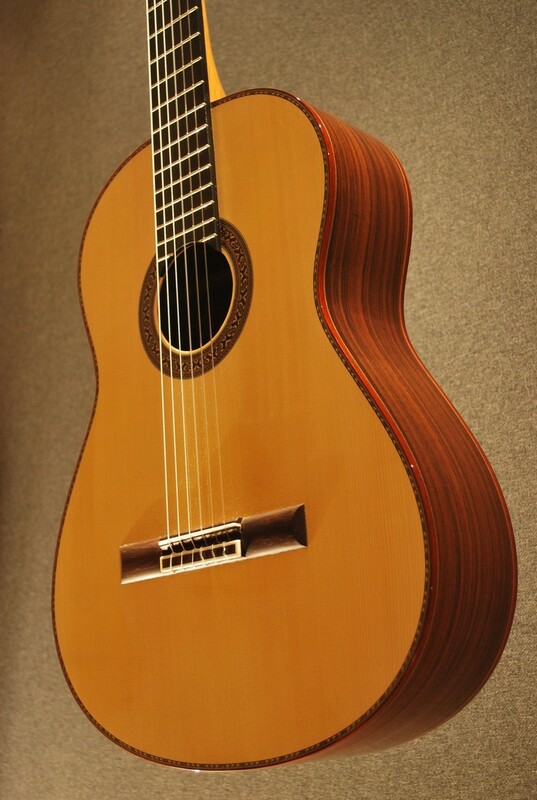 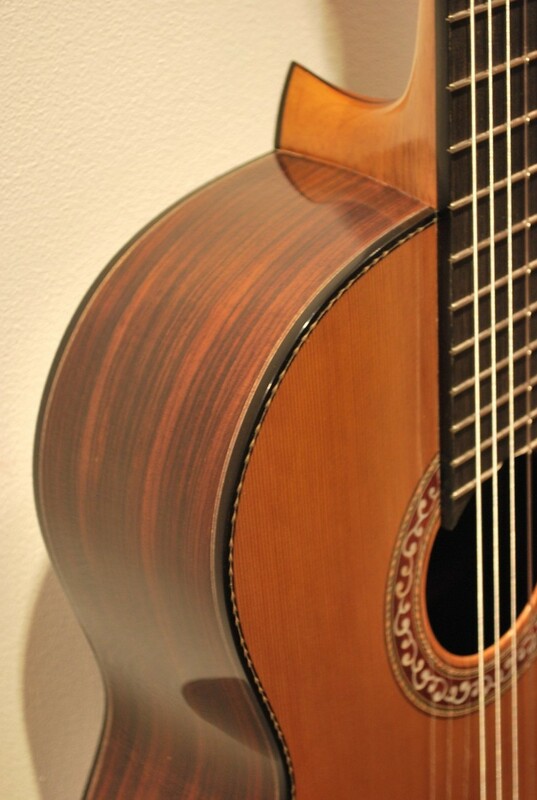 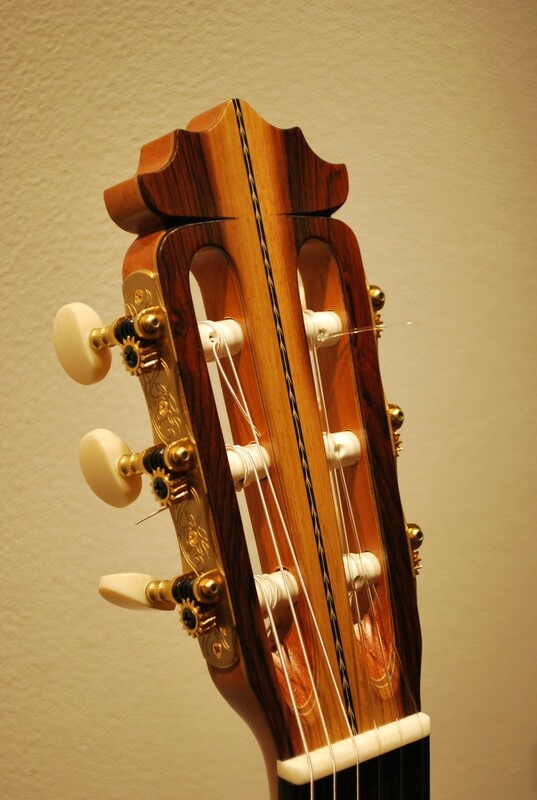 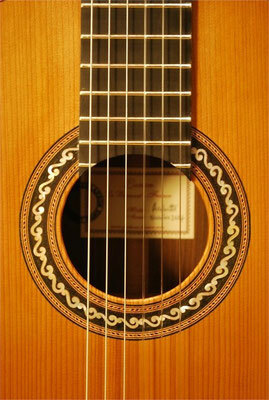 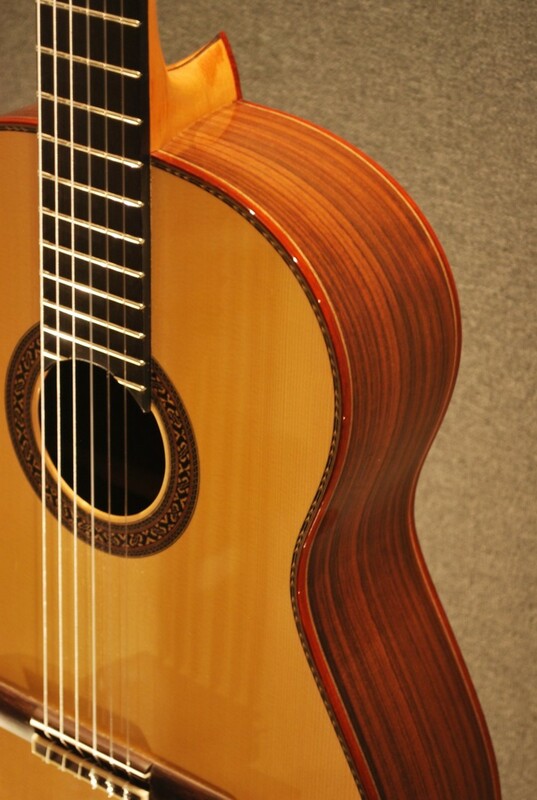 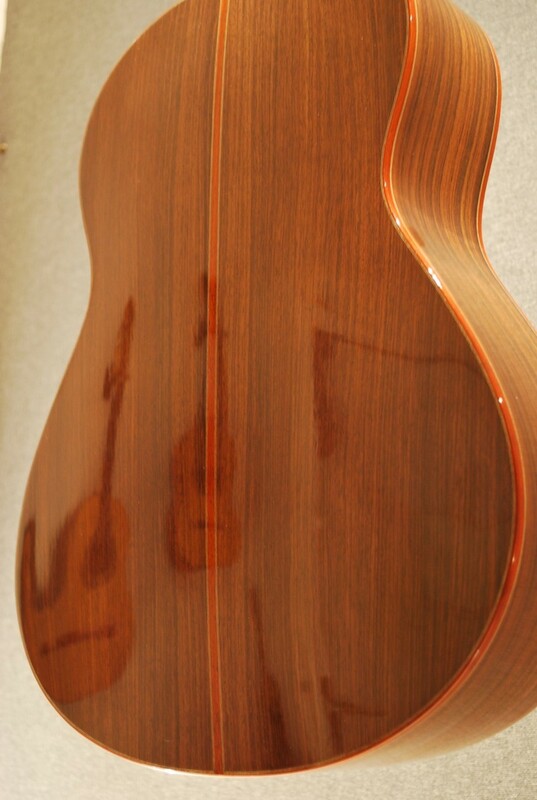 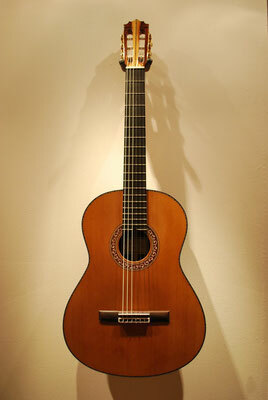 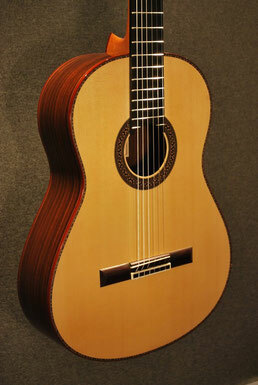 These classical guitar can be made with red Cedar top or German Spruce top.